Mimi Carter has been both a nonprofit and agency leader in her 22-year career in communications, marketing and public relations. Having focused her work primarily on clients in education, arts, health sciences, technology, and financial services, she is well versed in designing innovative strategies to help organizations achieve specific goals. As a former communications head at two national nonprofits, Mimi also has a deep bench of knowledge in message development as well as experience as a national spokesperson with a track record of objective media coverage during crisis situations. Before joining Proof Strategies, Mimi was Vice President of Communications and Marketing at the Corcoran Gallery of Art and Corcoran College of Art + Design. In this role, she handled national media relations and extensive crisis communications for the organization, as it considered controversial plans to move locations, and ultimately merged with the National Gallery of Art and George Washington University. At the same time, with digital, design and earned media teams reporting to her, Mimi was also able to raise attendance at the gallery by 15 percent her first year and 20 percent her second. She also ran the marketing and communications efforts for the college, increasing applications to the college by 10 percent. Prior to the Corcoran, Mimi served as Interim Director of Communications at the Epilepsy Foundation of America, where she worked with the communications, creative and digital teams to publicize their annual 5,000 person national walk, their “Get Seizure Smart” national education campaign as well the redesign of their numerous social media sites and award winning website, epilepsyfoundation.org. Additionally, she was assistant marketing director and publicist at Virilion, an interactive marketing and communications agency acquired by RepEquity. 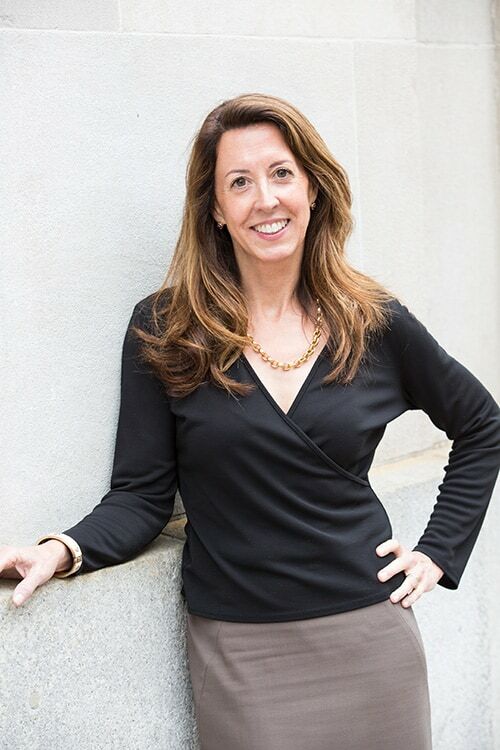 Mimi previously ran her own communications and digital media consulting business, SparkLight Communications, which included clients such as The Amputee Coalition, Dumbarton Concerts, Hanover Investment Group, National Alliance for Aging Research, National Geographic Education, and the Society for Nuclear Medicine, among others. She is also the founder of “DC Communicators,” a Washington regional group of communications professionals. Mimi has lived in the Washington area since she was six years old. A graduate of George Washington University’s Columbian College, she also holds a Master’s degree in journalism and public policy from American University. Since 1999, she has lived in the Del Ray neighborhood of Alexandria, VA, where she was elected to the school board in 2009. Both her daughters attend Alexandria City Public Schools and she is author of the book, The Insider’s Guide to Quality Child Care in Greater Washington, where she reviews 42 nationally accredited child care centers and pre-schools in order to help parents make a more informed choice on their children’s early education.